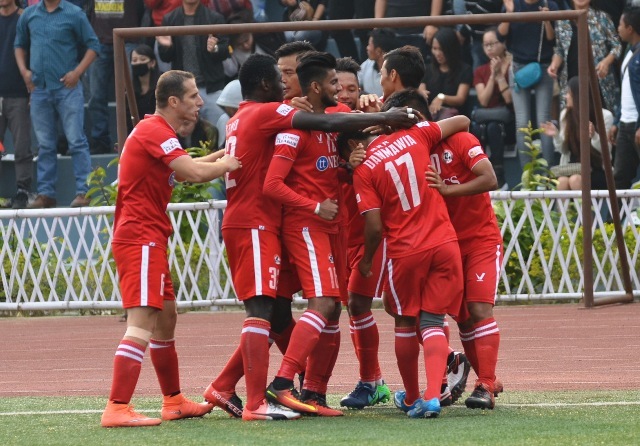 Zohmingliana Ralte's goal in the final quarter of the match helped Aizawl FC edge out the mighty Mohun Bagan in what was touted as the title decider. The match played in front of a packed Aizawl crowd started amid heavy downpour. The match kicked off to an exhilarating start, with both sides enthusiastically taking the ball to their attacking third in turns. 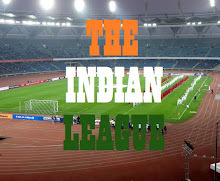 11 minutes into the match, Mohun Bagan were awarded a free-kick which ended up at Jeje's feet in the box. Inconveniently positioned, he failed to utilize the chance to give his side a lead against the team from his home state. A few minutes later, R. Laldanmawia almost scored for the home team from the box but he failed to add to the 3 goals he had scored this season. After dribbling the ball past a few Mohun Bagan boys, Al Amna tapped the ball towards Jayesh Rane whose power shot towards the net went a few inches wide. Just minutes before the first half whistle, Aizawl FC captain Alfred Jaryan aimed his shot towards the net guarded by Debjit Majumder but the Mariner was not put to task as the ball flew a few inches outside the goal post. Both sides displayed an eagerness to win, never forgetting how crucial the outcome of the match was in determining the champions this season. However, the first half ended without any successful attempts at the net. Debjit Majumder found himself challenged with a potential goal a few minutes after the second half kicked off when Jayesh Rane's ball flew swift and straight towards the post. Fortunately for the away side, their keeper deftly blocked the ball. About 10 minutes into the second half, Aizawl FC midfielder Brandon's cross from the left flank was received by R. Laldanmawia who made an attempt for the net but his attempt was thwarted by Mohun Bagan defender Anas. In the 83rd minute, Al Amna took a corner kick which was beautifully and dutifully converted by Aizawl FC defender Zohmingliana Ralte resulting in a thunderous cheer from Aizawl FC fans. Though both sides pushed themselves, no more goals were scored and the final whistle blew to confirm Aizawl FC as the victorious team. With Aizawl FC walking away with 3 points from this match, they are favourites for the Hero I- League 2016-2017 title needing only a point from their last match to be played against Shillong Lajong FC on the last day of this month to go home with the coveted silverware.